I'm not big on self-help books, but it seems that my recent purchase of a Kindle has had an effect on my attitudes. That said, Quiet is not your average self-help opus, at least from what I can tell. Despite its name, it is a fairly straightforward and determined tale of how extroverts have come to rule corporate, academic and relationship life in the western world. There are a few tick-the-box quizzes and some praising of inane personal attributes but Quiet is mostly able to present a good scientific and social case for rethinking the way we deal with the extrovert-introvert divide. It starts out with an interesting discussion on the rise of the American Dream and the ideal of an outward-oriented salesmanlike citizen. Charming people with manners and showmanship were able to thrive in an economy that newly needed talent in sales. Companies started looking for these traits in potential employees and the national psyche rewarded extroverts. Those with more inward traits like shyness or reservedness were considered inferior. Today, however, the world is no longer a place, where all you need is presentation skills (if it ever was in the first place). Innovation seems to stem from quiet, thoughtful people that for now have been considered second rate by the economy. A round of applause for Cain for identifying an important issue in today's world. The rest of the book focuses on more personal issues and I found a lot that I can identify with. 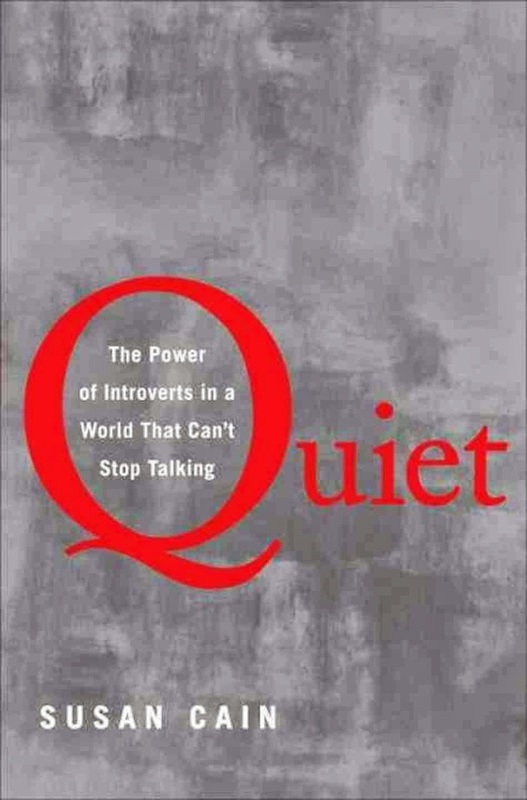 Quiet is a book from an introvert to introverts, so I'm not expecting the extroverts of this world to read it with as much interest, if at all. Does this matter? At times Cain is truly preaching to the choir. As an introvert, I don't need to be told that I should be able to get more say in discussions at the office! That said, it's a good read for anyone who feels threatened by the extrovert ideal and a world of shouters and self-marketing.